At the end of the 80s, in a youth center in Mainz, Marco was introduced to the world of music and DJ-ing in particular. Impressed by the likes of Kraftwerk, Tangerine Dream and Klaus Schulze, he soon realized that electronic music had a special effect on him. For a while, this fascination was pushed aside by Breakdance, where the sounds of Grandmaster Flash, Man Parrish, Strafe, Planet Patrol, Afrika Bambaataa & The Soulsonic Force ruled his everyday listening. By the end of 1991, he had made his second contact with purely electronic sounds. The Vinyl accumulated and after a couple of private sets it became obvious that Marco needed to reach out beyond the party scene of Mainz alone. Hanging out in Frankfurt clubs like Dorian Gray or Omen made his choice of style in music an easy one. 1993 brought his first gig as resident-DJ, followed up by playtime in and around Frankfurt by the mid 90s. From then on everything accelerated, with numerous club appearances in Germany, Ibiza, Holland, Japan as well as Switzerland and the USA. The next few years were filled with collaborations with many other artists like Ramin Naghachian or G-Man/RaDiac resulting in various projects and labels such as ParaMeta, 12Zoll and Neural Drift, or music projects like KlangBildErzeuger, paraSystem, BoxNoise and ElektroAssi. These musical ventures were all over the board, from Electro to Techno, Progressive to Psychedelic Trance. This colourful mix of styles is just the way Marco likes it, so it’s not surprising that his productions have been released on as different labels as Universal Music, BMG, 12Zoll, TIP Records, UTC WIRED, Drizzly and Spirit Zone/Plusquam. Towards the end of the 90s he made the final move to Frankfurt, where he actively pursued his vision as a DJ. 2008 brought the move to Berlin, where he still lives and works to this day. In Berlin, Marco started up the event agency KlangWild, that transformed into the music label KlangWild on 21.12.2012, concentrating on electronic dance music with an emphasis on electronic music. In the meantime, Marco developed a whole row of new projects, including Aixo and SimN. 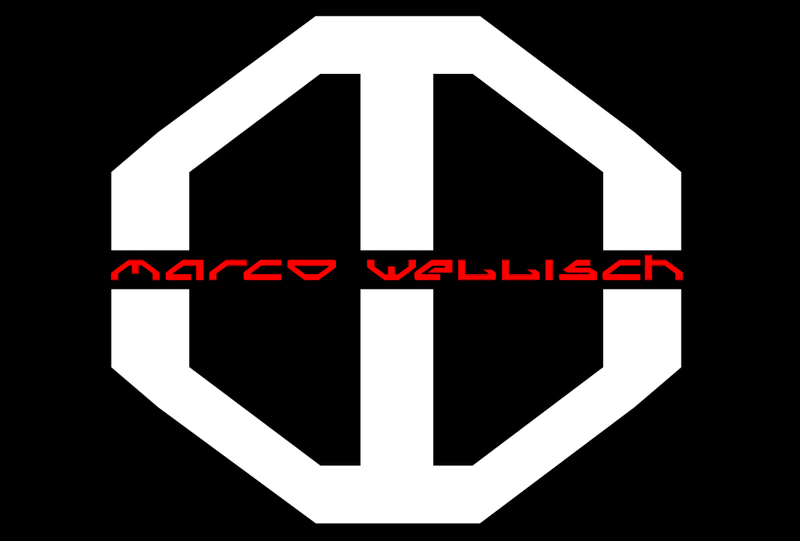 Wellisch’s musical focal point as of now can clearly be defined as Techno / TechHouse.